If your payday is still weeks away but you need money right now, you might consider using online payday loans. This type of loan offers a relatively small amount of money for a short term, allowing the borrower to quickly receive their funds and then repay the debt upon receiving their next paycheck. Also called cash advances or check loans, online payday loans vary in amount and length, and they can be paid off in a lump-sum payment or periodic payments depending on the lender’s flexibility. The funds you request might be distributed through cash, a check, a prepaid debit card, or an electronic deposit to your checking account. Lending laws vary by state, but if you are legally able, take advantage of the option to use online payday loans. Instead of driving to a local lender’s office or making your way there on foot, use a quick and convenient online lender like Advance Paycheck Online. You can apply for online payday loans in the comfort of your own home, the approval time is typically quick, and greater competition online often leads to lower interest rates. Plus, once approved, the money can be directly transferred to your bank account, which you can access from home as well. To apply, you only need to provide proof of income and a bank account, making this a great solution for borrowers with bad credit. Procure online payday loans through a direct lender, not an affiliate or a loan aggregator (i.e., middlemen who will collect your personal and financial information when you apply and sell it to lenders seeking borrowers). A reputable direct lender will save you time, money, and stress. When you’re ready to secure a payday loan, review the costs involved. What is the annual percentage rate (APR)? What is the finance charge? Will any additional fees or fines be levied? Using these numbers, calculate the total cost of the loan and decide whether you can realistically afford it. Applying for online installment loans is straightforward and painless, as we mentioned above. Simply provide the requested information, which will likely include your name, address, phone number, date of birth, bank account number, and annual income. Then, wait for the lender to promptly review your application. Unfortunately, not all lenders are honest, trustworthy, and credible. Before you enter any private information on a lending website, use the Internet and other sources to learn about the reputation of the lender. If you aren’t careful, your personal and financial information could be sold to other companies, who may try to sell you additional goods or services or charge you for things that you did not agree to buy. In fact, with your sensitive personal information at risk, you could even be the victim of identity theft. Although online payday loans can be very useful tools for those who need funds fast, they should always be handled with care. As we mentioned above, be sure to review all of the costs of the loan beforehand and assess your own financial situation. If you are not certain that you can pay back the full amount of the loan (including fees and interest), you may not be a good candidate for a payday loan. Budget your money effectively as well to ensure that you can make those crucial payments in a timely manner, avoiding the added penalties of a late payment. In addition, work with your lender to create a realistic payback plan. 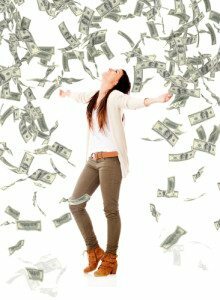 If you have the good fortune to obtain money quickly after receiving your loan, pay back the entire loan at once to limit or eliminate additional fees. And if you are struggling to pay off the account balance, contact your lender to work out a more reasonable payment schedule. Ready to dive in? To apply for an online payday loan, visit Advance Paycheck Online today. Complete the simple and straightforward application, providing basic contact information as well as your bank account number and proof of income. Your application will be reviewed as soon as possible, and if denied for any reason, you will receive an e-mail notification within 24 hours. If approved, on the other hand, you will receive instant funding, with your loan sent directly to your bank account. We offer a flexible payment schedule and we prorate fees, so if you pay off your loan early, you will only need to pay the fees that accrued during the loan’s lifetime. If you have any questions or concerns regarding this process, our services, or online payday loans in general, please give Advance Paycheck Online a call at 1-815-436-4242 or contact us online. With our help, you can quickly and easily receive the funds you desperately need.